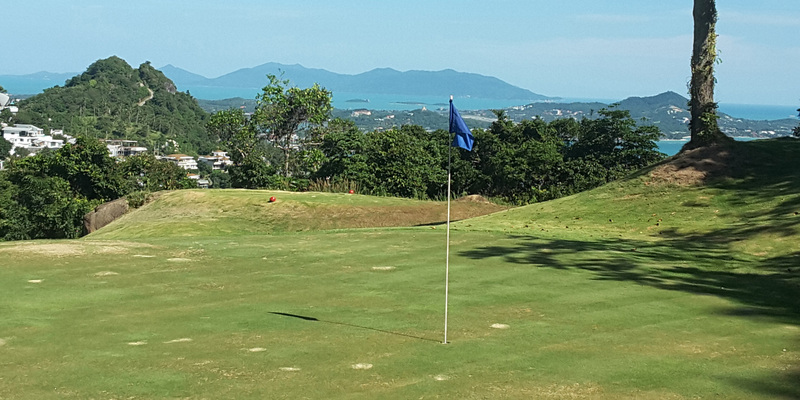 Reserving your green fee rates and tee times for Santiburi and Royal Samui online is always advisable depending on the which part of the season you are visiting Koh Samui. 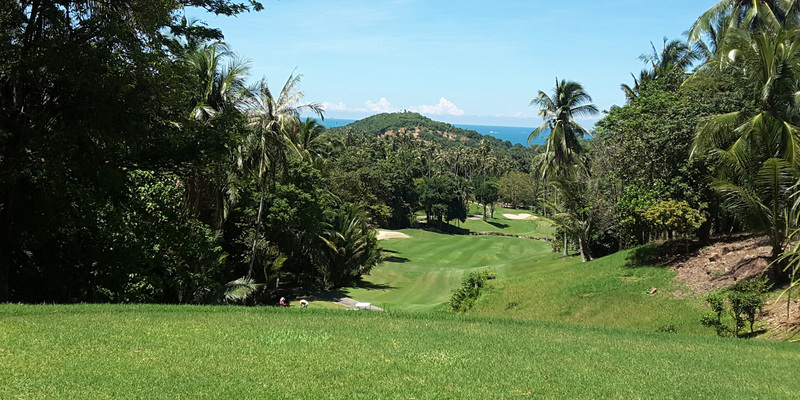 By booking in advance it enables us to offer you the most favourable tee times or if you are a single golfer pairing you up with a fellow player if you so wish. 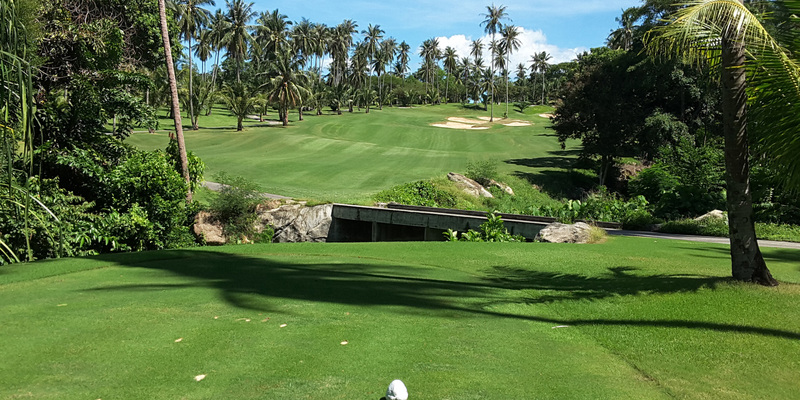 Santiburi is probably one of the only golf courses in Thailand where they will allow single golf players if not to busy. 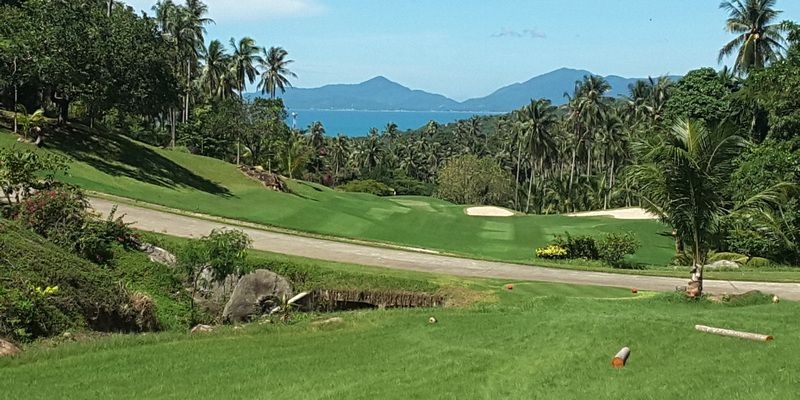 Our golf package rates include transportation and rental golf clubs if you are visiting Koh Samui without any equipment. Send us an email today requesting special rates and one of our team can advise you on availability on this upcoming golf season. Transportation recommended please view our golf packages. 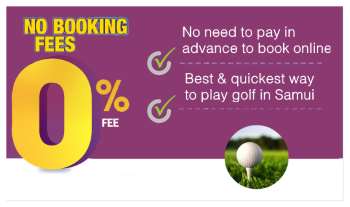 O% credit card fees, O% booking fees, No deposits for golf only bookings. CART ADVISED DUE TO MOUNTAINEOUS TERRAIN. Cart costs prices are per person 1 person B 400 THB/ 2 persons B 500 THB. 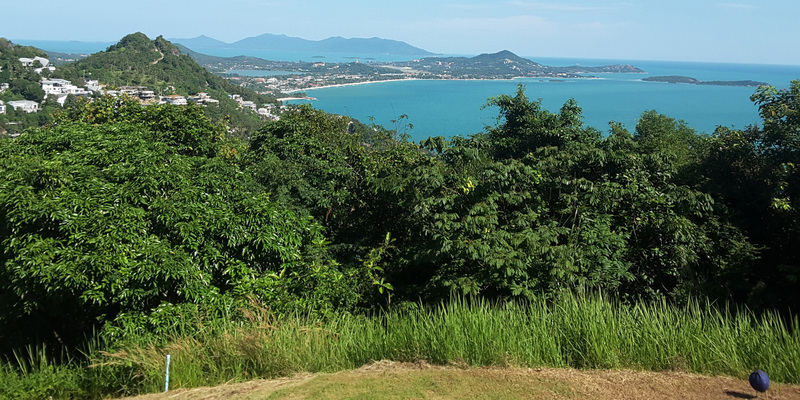 Spectator charge passenger B 300 THB travelling with golfer. Cart costs prices are per person 1 person B 600 THB/ 2 persons B 800 THB. Spectator charge passenger B 400 THB travelling with golfer.